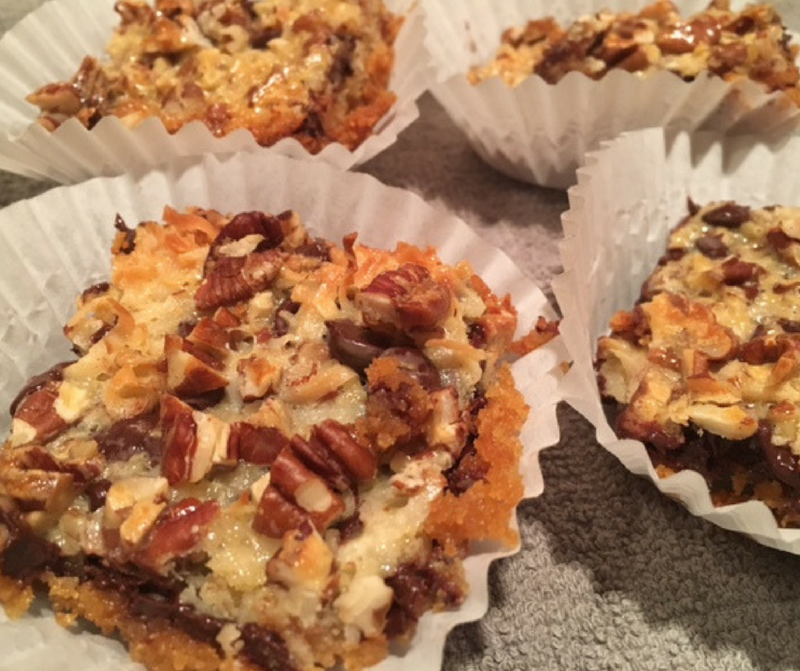 Nothing says Christmas time to me like Hello Dolly bars. I was curious as to why they are called Hello Dolly bars, but really could not come across the reason other than there was a play in the 1950’s called Hello Dolly. 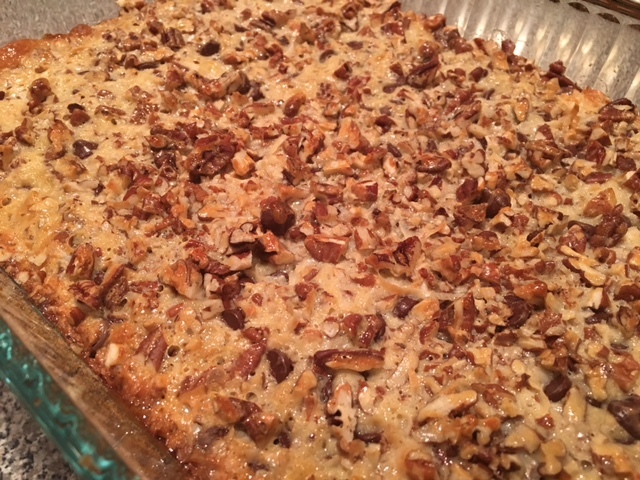 It seems they are also called Magic Bars or even 7 Layer bars in other areas of the country where they add a 7th layer to the bars by adding butterscotch chips. No matter what part of the country you are from or what you want to call them, I call them delicious. My mom always made them around the holidays, but they are super delicious no matter what time of year you want to make them. Preheat oven to 350 degrees and melt the butter in a 13x9x2 inch baking dish. Carefully sprinkle graham cracker crumbs over the melted butter. 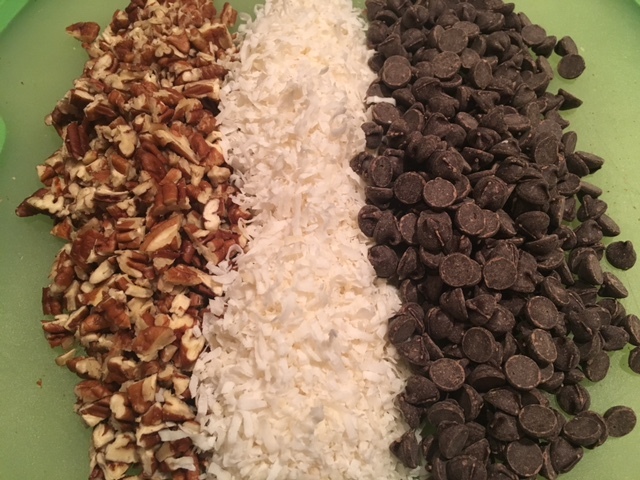 Layer chocolate chips, then coconut and finish with pecans. Drizzle milk slowly and evenly over the top of all. Bake for 20-30 minutes or until the top and sides are golden brown. Cool in the pan. Cut into squares. ← Is Your Issue Personal Or Biblical?